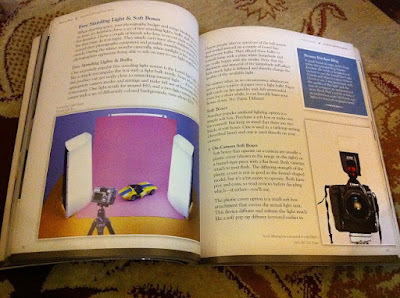 When MPH sent its usual weekly newsletters on online promotions, I caught sight of their 25% discounts on all photography related books. Curious, I clicked the link which led to several photography books for sale. 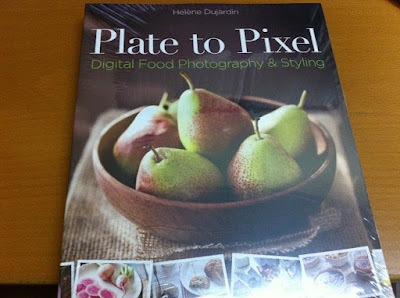 Upon seeing a book on food photograhy, I was interested to purchase immediately. 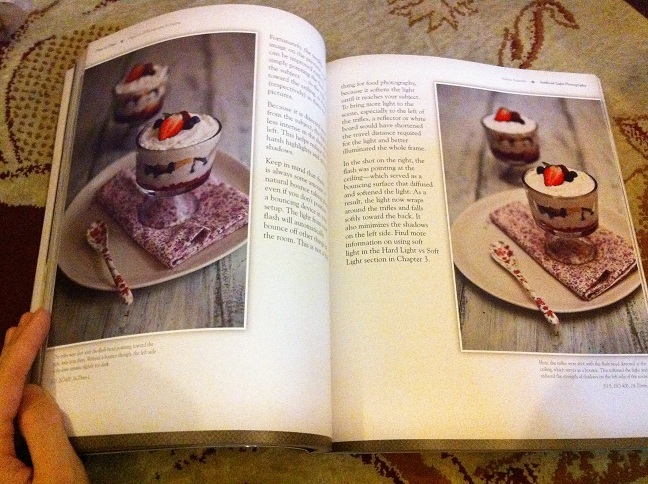 The book retails at RM95.80 but customers enjoy 25% off for online purchase. I decided to try my luck searching for it at BookXcess, hoping that I would get even cheaper price than RM71.85 but to no avail cuz it's a newly published book (May 2011). One glance at Kinokuniya's site shows the same retail price too. With that in mind, I didn't think twice about placing order right away. Surprisingly, the book was delivered the next day which I thought would take up 3-5 days as stated in their site due to stock availability. What the book thrives & lacks at the same time is the simplistic style of writing by the author who is both photographer & food stylist. I like how the book was written with a personal touch...not too formal & with minimal complicated jargons. Due to some absence of jargons & less straightforward phrases, the book tend to be a little lengthy & long-winded. I'd have to admit the food pictures are gorgeous. Draggy & long-winded the paragraphs may be, it still has pretty good explanations on camera gears & tips on how to DIY your soft box.